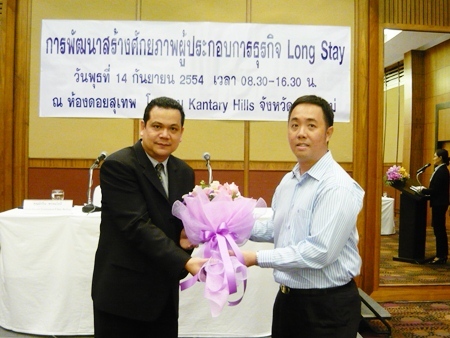 The Chair of Retail Building and Construction at Chiang Mai’s Chamber of Commerce, Varodom Pitakanonda presents Kantary Hills General Manager Magrin Phromyothi (left), with a thank-you bouquet for sharing his experience during a seminar on “Skill Development for Longstay Business Entrepreneurs”, which was recently held at the Kantary Hills Hotel in Chiang Mai. 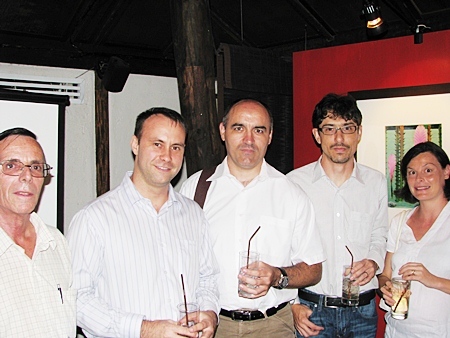 The Foreign Investors Club held a meeting at the Tamarind Village Spa and Resort on Thursday, September 22, 2011. The Club discussed such issues as the upcoming minimum wage hikes, regionalization and proposed corporate tax cuts with Chiang Mai Chamber of Commerce Director Krishna Limsakdakul. The Ladies Lunch Bunch met at the Upper Crust Restaurant on Thanon Rot Fai opposite the Train Station on Wednesday, September 14, 2011. The ladies enjoyed burritos, fajitas and a delicious creamy fresh mango pie. 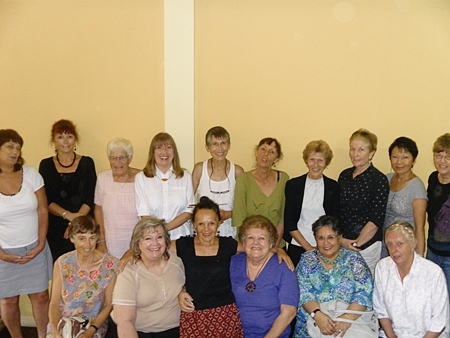 The Ladies Lunch Bunch meets in the middle of the month every month. TV superstars “Nat” Thephussadin Na Ayutthaya and “Kik” Danai Jarujinda were the headliners at the recent MC Fashion Show at Central Airport Plaza on Sunday, September 11, 2011. The Fashion show featured MC clothes as well as the TV stars. 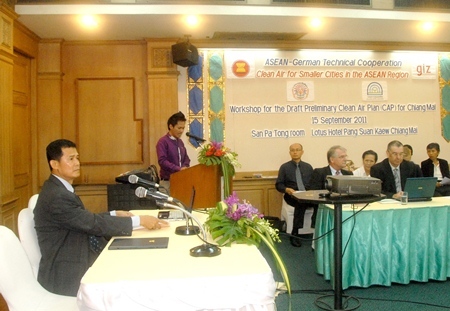 Deputy Mayor of Chiang Mai Nutchudej Wiriyadiloktham chaired the meeting of a workshop to draft the Clean Air Plan for Chiang Mai City at Lotus Pang Suan Kaew Hotel along with local residents both foreign and Thai on Thursday, September 15, 2011. 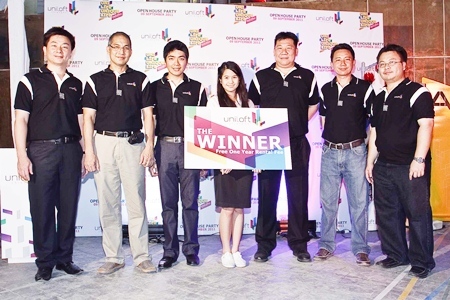 Uniloft Dormitories held an Open House Party on September 9, 2011, where students won prizes at the dorms just off Nimmanhaeminda Road near Chiang Mai University. 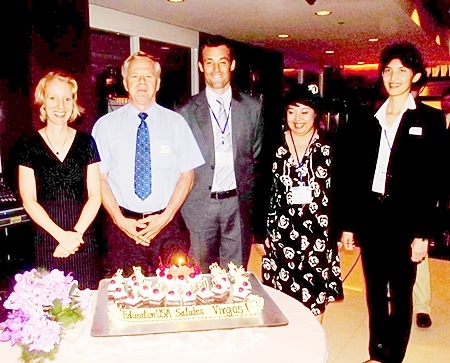 One lucky student won a one year’s stay at the modern dormitory. 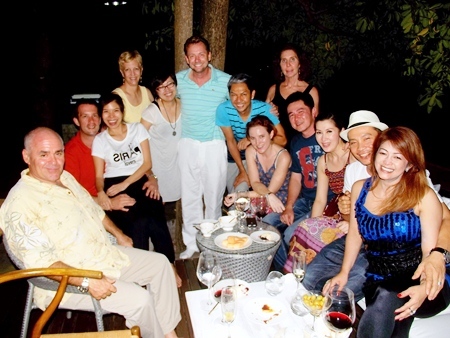 The Cat House on Sirimangkalajarn Soi 5 celebrated their first anniversary on Friday, September 9, 2011 with a buffet dinner and homemade passionfruit punch. Friends and fans of this cozy bar turned out for the evening. 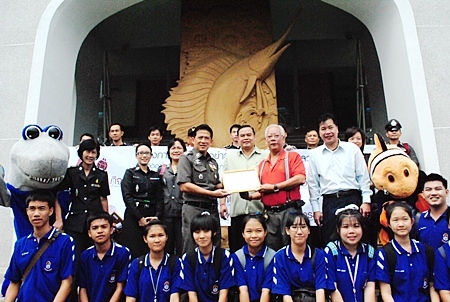 Members of the Provincial Police Region 5 took about 120 students on a field trip to the Chiang Mai Zoo and Chiang Mai Zoo Aquarium on September 7 where they were greeted by the Zoo’s Assistant Director Nipon Wichairat and Zoo staff. The students had the opportunity to learn more about the animals and their welfare. 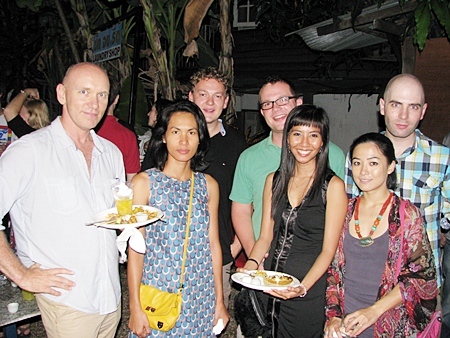 Citylife Editor Pim Kemasingki (first row left) joins Scott Taylor (first row right), Max Tanakorn (second row left) and singer Book Kitavadhana for a night of singing at Sangdee Gallery on Sirimangkalajarn Soi 5.